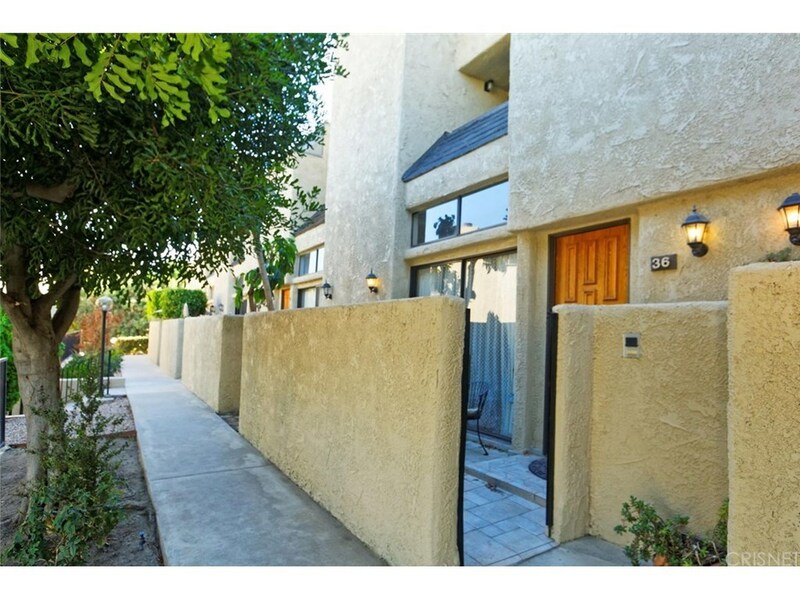 ***Ready for its new owner*** This Unit Overlooks the Pool with beautiful Mountain Views. Horse stalls available with direct access to trails and Equestrian Center. ***3 bedrooms, 2 which are Master Suites***Kitchen has been updated***newer cabinets with self closing drawers, granite countertops, newer appliances*** all 3 Bathrooms have been updated*** Fireplace in living room*** Mini Bar with sink in dining*** Private Patio off living room sliding doors***Separate laundry area off 2 Car garage*** This Complex offers Pool, Spa, Clubhouse, Fitness Center and horse stall*** HOA dues include Earthquake Insurance***It is in Close proximity to Freeways, Shopping and restaurants. Close to Burbank's Media Center. Will not last Long!Disclaimer: All Pictures with furnishings IE: Bedroom set, Rugs, Lamps, Pictures frames and other accessories have been virtually staged for illustration purposes only. Flames in fireplace have been photoshopped in by photographer.